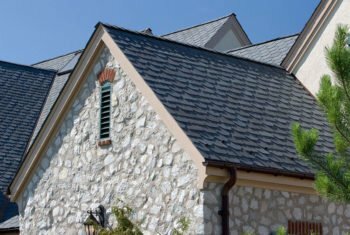 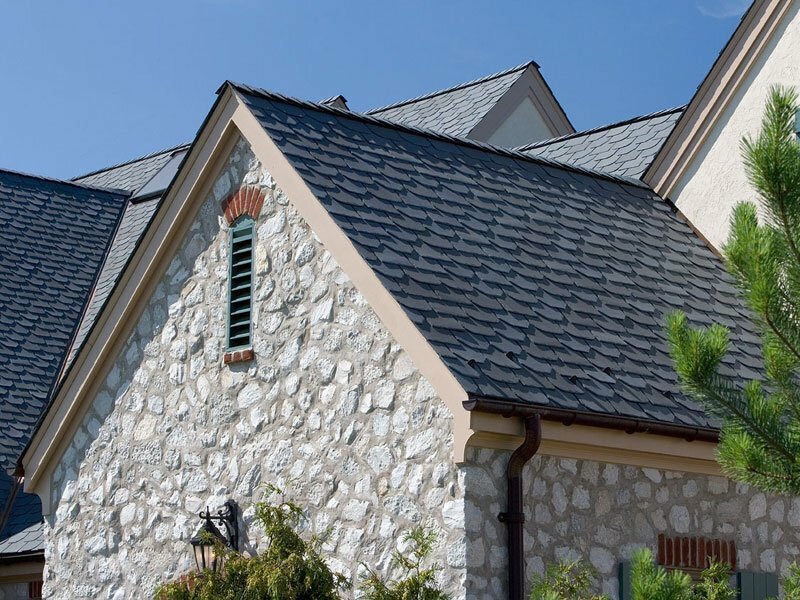 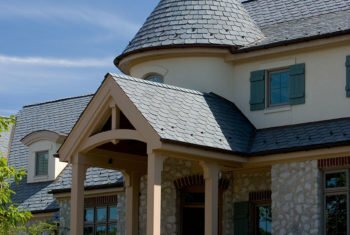 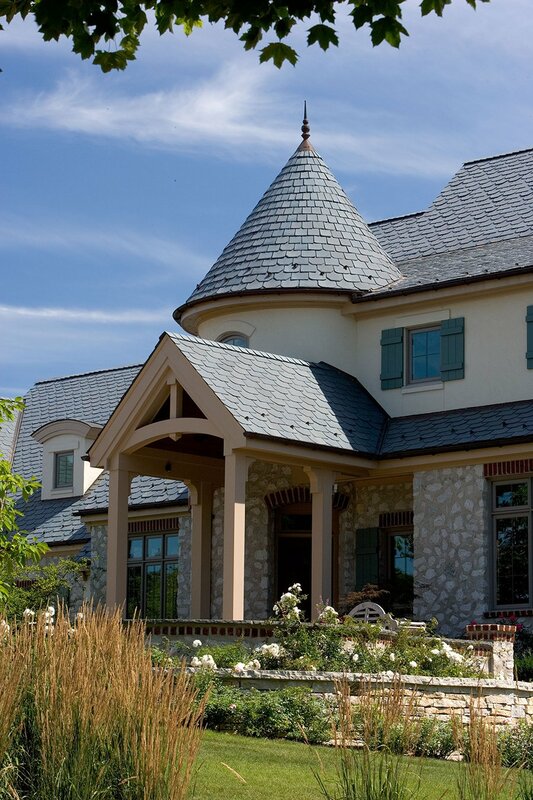 When a roof was needed for a beautiful home in Mequon, WI, designers turned to EcoStar. 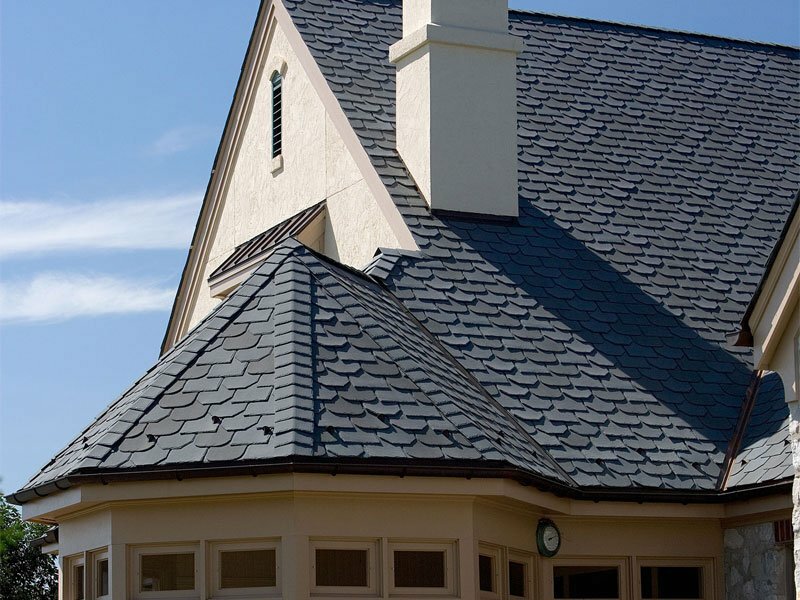 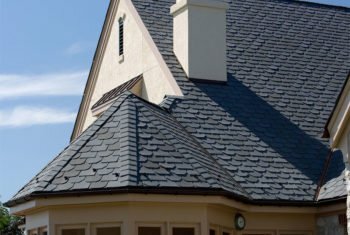 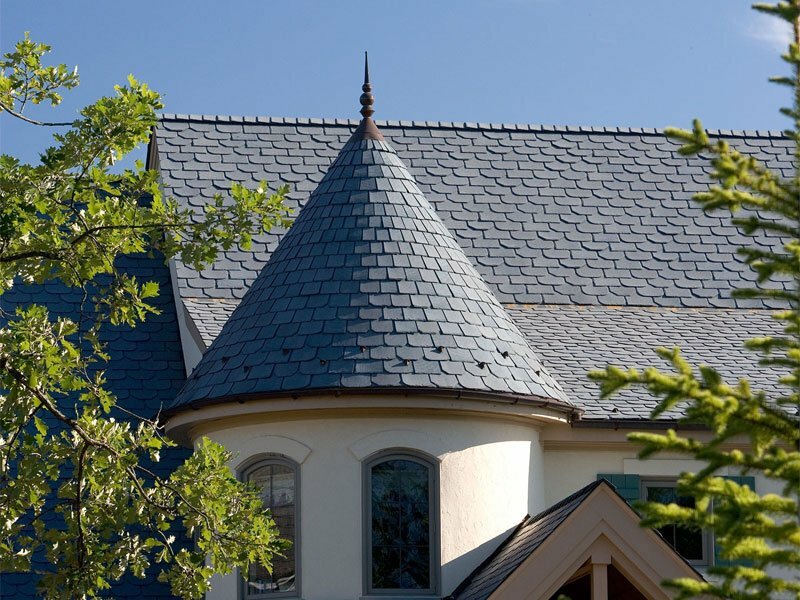 The wide range of available designer shapes and ability to install on turrets and other unique roof shapes were deciding factors in the selection of Majestic Slate. 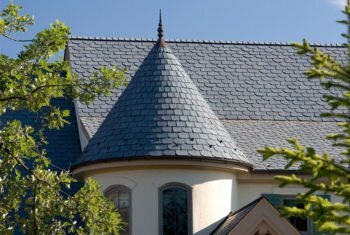 Majestic Slate 10″ Traditional tiles were used along with Beaver Tail and Beveled Edge Designer Series tiles in a Midnight Gray blend.